What a revelation! I’ve lived for more than 30 years with the notion that Ostrava is mostly just a dirty polluted Czech city that is hardly worth visiting except from the music festival Colors of Ostrava. But guess what – I found myself in Ostrava for work and fell in love. I think it wasn’t just because the day turned out to be especially pretty but also because Ostrava cast a spell on me! If it weren’t (still today) the most polluted city in the Czech Republic, I might even consider moving there. Don’t tell Prague that I almost cheated on her. 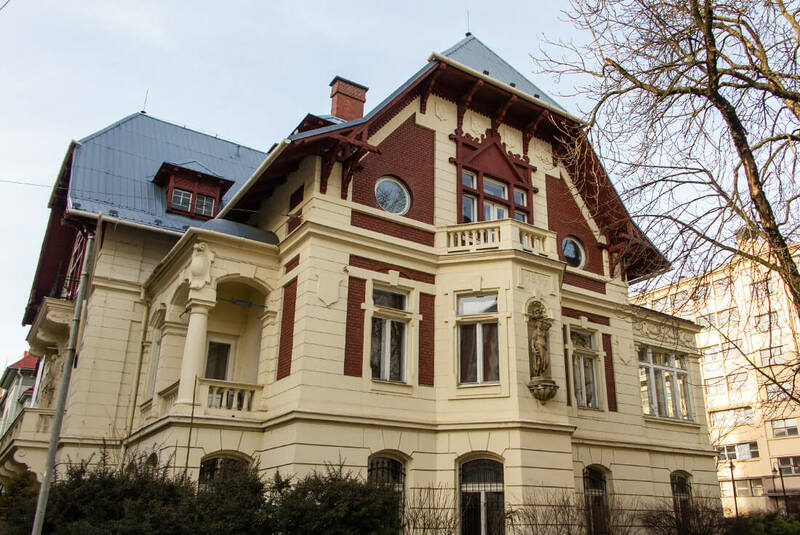 Where to Stay in Ostrava? How to Get to Ostrava? I know, I know, Ostrava’s not too famous and it’s rare when a traveller actually even knows where to look for it. Ostrava is the third largest city in the Czech Republic. It’s located in the very Northeast of the country, in a geographical area called Silesia, in the Moravskoslezský (Moravian-Silesian) region. Only a few kilometers lie between the city and the Polish border. What other city has 3 exclamation marks in their logo? Only Ostrava!!! :) The city is proud and so are its inhabitants, never hiding their origins no matter where in the Czech Republic they relocated. They have a distinct dialect and a soccer club adored by a large number of die-hard fans. All this is Ostrava. A former mining capital, where men had to be especially tough. These, to me, are some of the most unique things about Ostrava. Ostrava is a city that emerged as the capital of mining in the Czech Republic. Back when coal power stations were springing up like mushrooms after the rain, it was here where mining business prospered. As of now, the situation is rather dismal and people who used to work in extremely harsh conditions have either been laid off or ended up with low paying jobs. The prosperous mining era is gone. What’s not fully gone, however, are the mines. 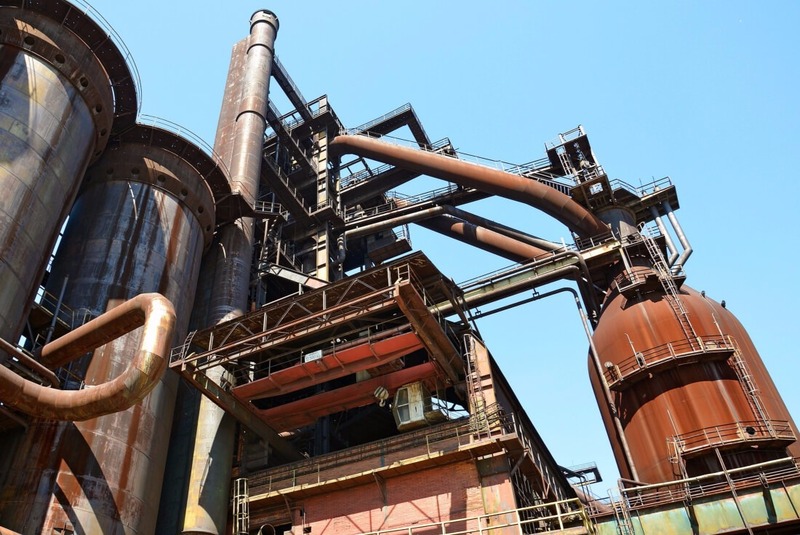 When you’re in Ostrava, don’t forget to pay a visit to Dolní Vítkovice, a former industrial site used for mining and iron processing. Here you could find not only a coal mine, but also coke ovens and blast furnace operations. 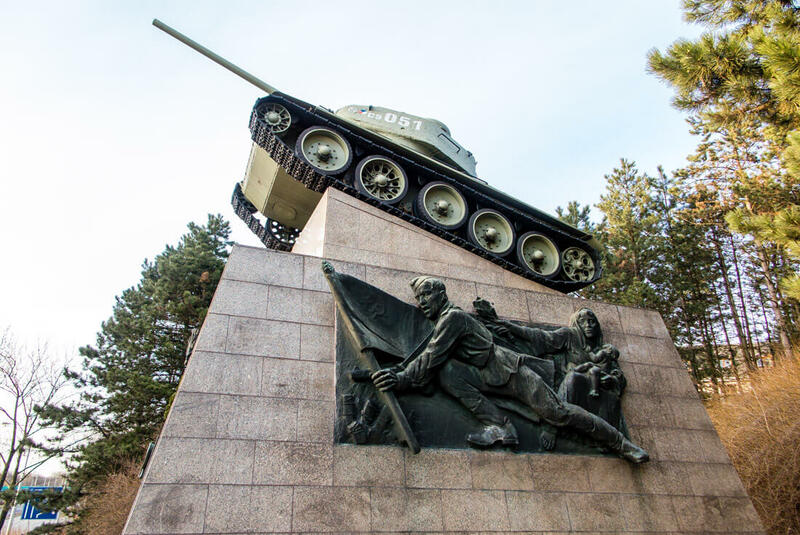 The area has, with the help of local (rich) patriots, been transformed into a large cultural center and is today a national site of industrial heritage. And, who knows, it might even appear on the Unesco World Heritage Sites list in the future (the application’s been filed!). There’s a café on top of a bolt tower, there’s a theatre, a cinema, and countless happenings. You can take one of their guided tours, many of which include a visit to the café. 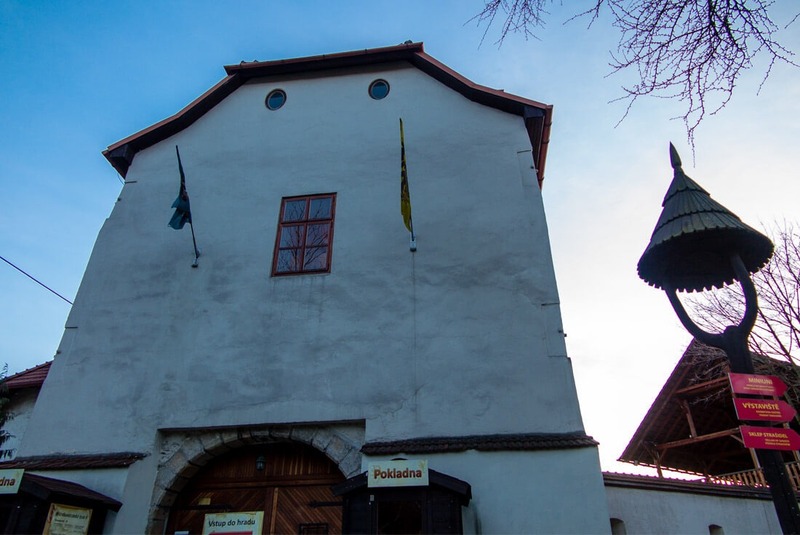 Also, an extremely fascinating and interactive mining museum called Landek has opened on a site of a former mine. And by interactive I mean you can go down into the actual mining shaft! 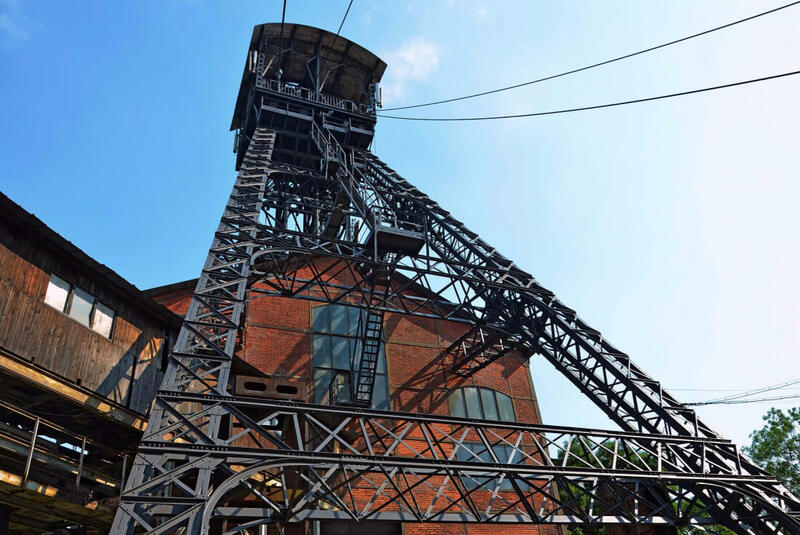 Finally, a third former mine, and another fascinating museum, is at Důl Michal, a little further from the city center of Ostrava. Here you can experience the daily routine of miners just before they went down the mine. The complex of buildings housing the New City Hall is quite vast for a city of Ostrava’s size. What you should be more interested in, though, is the lookout tower. There’s an elevator to take you 73m (240 feet) all the way to the top. On the day I visited, the tower was closed down for maintenance. So you’ll have to go and tell me how it was! There’s a small admission fee, which also covers a short guided tour. Not only can you see the city and the hills surrounding it, but on a clear day, you can see as far as to Poland, or even Slovakia! The tower is open every day, and you can find the opening hours here. The New City Hall – an interesting piece of architecture and a lookout tower you shouldn’t miss. 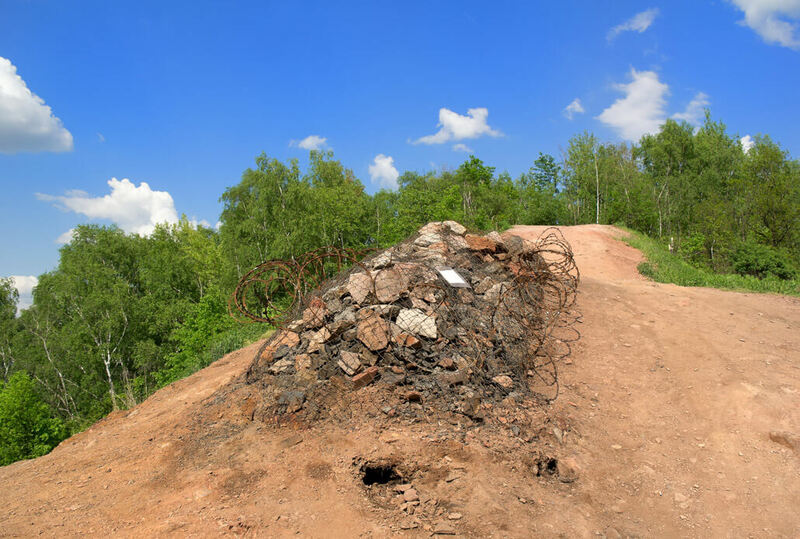 While it looks like just an ordinary hill, the Ema heap is in fact a man-made pile of waste material from mining built up a while ago in the 20’s. The views from there are quite exquisite, too. 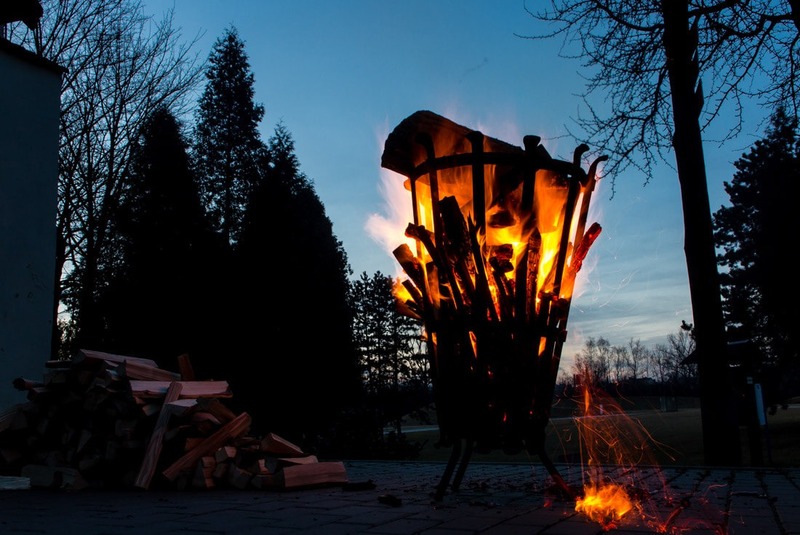 The material Ema’s built from actually still burns on the inside, since it ignited in the 60’s. It’s said that inside the hill, the temperature crosses 1000°C (1800°F)! That’s why it’s sometimes nicknamed the volcano of Ostrava. The hill till this day continues steaming, so you can see little white clouds emanating from the surface. There’s no health risk to breathe, but you wouldn’t want to spend a night there. The hill is almost entirely covered with grass and trees, especially the kinds that like warmer temperatures. You can often see green patches of grass here even in the dead of winter. Even though there’s a new tourist trail leading to the top of the Ema heap, walking atop of it is at everyone’s own risk. The Ema Heap is a protected site. The peace and serenity surrounding the slowly flowing Ostravice River really took my breath away. I only met mothers with strollers, a few cyclists and otherwise a few people walking their dogs. I was also amazed at the nice paths built up all along the river. This was perhaps my most favorite part of Ostrava. 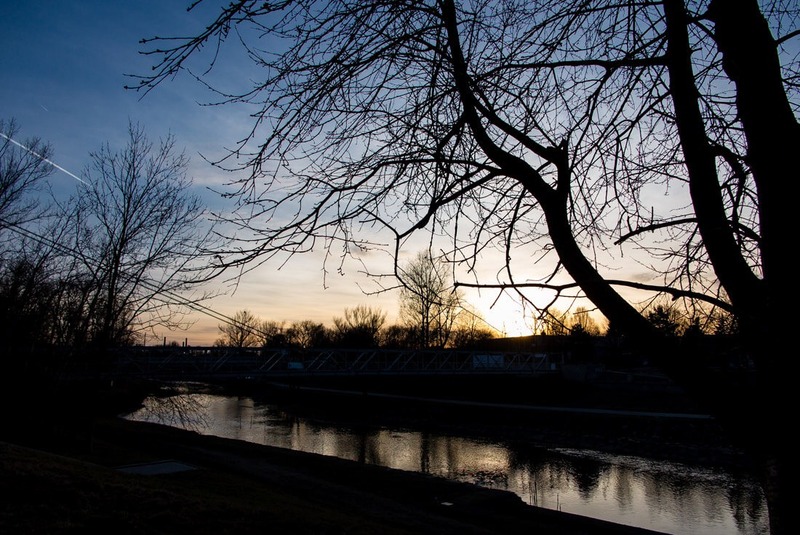 The Riverside in Ostrava – relatively green even in cold March. In what other large European City can you see fishermen? 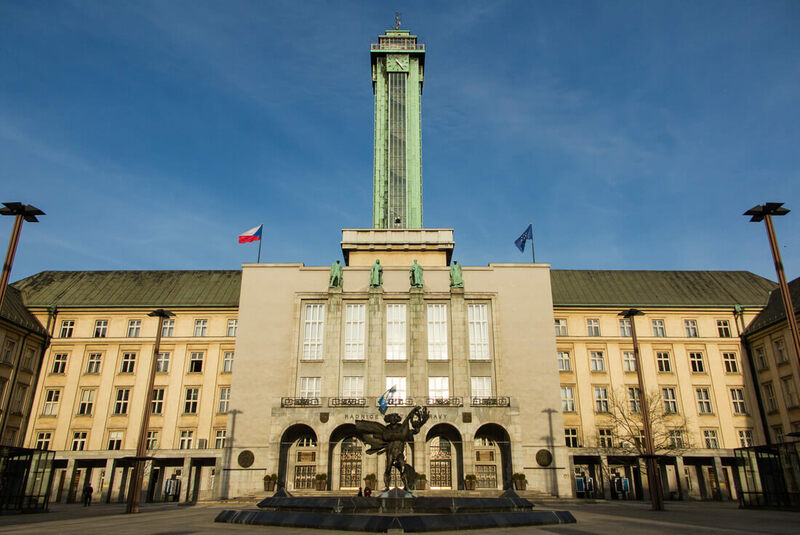 Ostrava has a number of beautiful and architecturally important buildings of all styles – baroque-inspired, to secession, classicism… And the functionalist style, especially. Now if only I could remember that street I found with the amazing villas.. well, I still have some homework to do! In the Second World War, Ostrava was bombarded quite heavily. In the ensuing after-war reconstruction, a building boom took off and saw many new functionalist buildings being erected, including a big housing development. I think this villa is just a seat of a company.. but wouldn’t it strike you to pause and take a photo? It’s nearly everywhere! You walk through the streets of the city center and suddenly boom! There’s a large mural on a disheveled building. I love this about Ostrava. Beautiful street art is not that big in the Czech Republic, at least not in centers of cities. Ostrava is very unique in that. The most famous mural is the Madonna “Ostravica”, as pictured below. 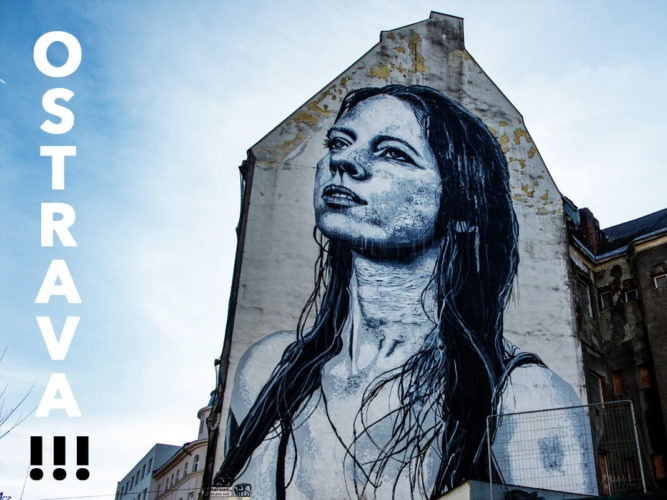 It’s actually the largest street art piece in the Czech Republic. 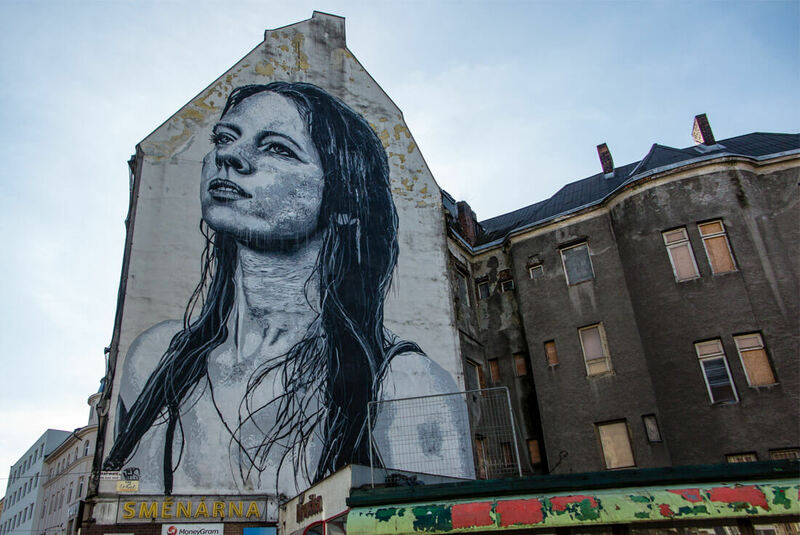 A famous American street artist Nils Westergard created it in 2016 over a weekend. 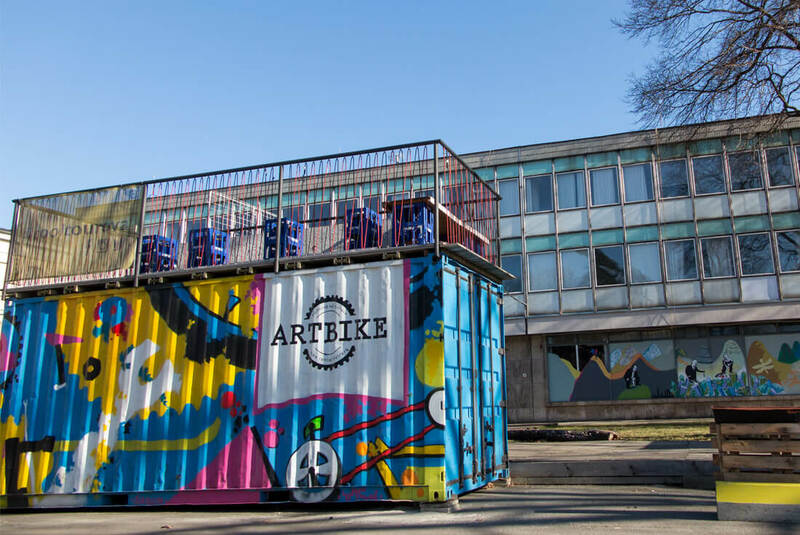 He decided to help the new owners of a building in a dismal shape, which used to house a shopping center, now being turned into a center for culture. Silesian Ostrava Castle, easily within a walking distance from the city center, was built near the river shore in the 13th century. If you pay the entrance fee, you can look forward to exploring the castle grounds, such as its courtyard, a fortress and a tower. I only walked around and enjoyed the beautiful evening complete with a fire burning outside the Castle gate. Silesian Ostrava Castle. The area in front gets very lively in summer. 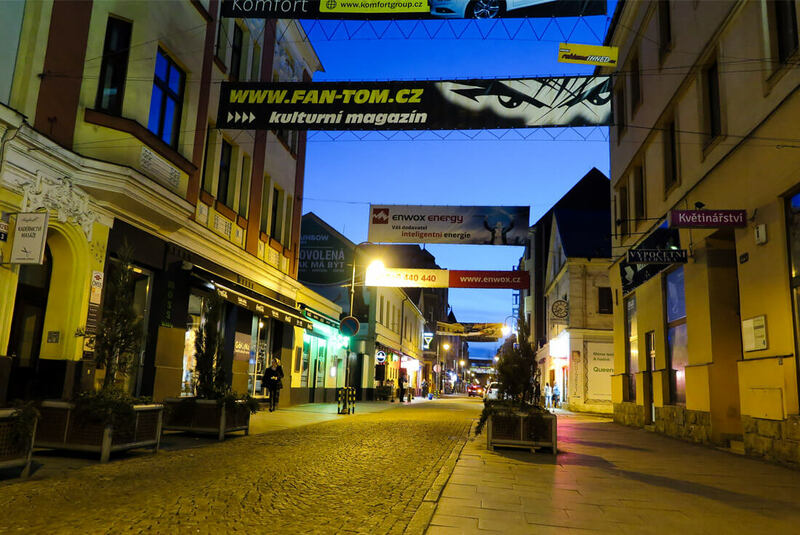 Stodolní Street on a cold March day during the week… But come in summer and you’ll see how wild it can get! Colours of Ostrava. A festival known to many European music fans. The legendary Colours, as the festival’s called for short, is one of the biggest multi-genre festivals in Europe. It’s been held every summer in Ostrava since 2002. I visited Colours for the first time in 2017 and had a blast. It was organized in the Dolní Oblast Vítkovice former mine. While the organization wasn’t without hiccups, as it was held for the very first time in the DOV, overall the festival was a huge success with estimated 45,000 visitors. The lineup is always interesting, with a few international stars being invited. In 2017 it was e.g. LP, Norah Jones, Jamiroquai or Imagine Dragons. In July of 2018 Colours of Ostrava is going to be held in Dolní Oblast Vítkovice again. You can buy tickets online on this link. 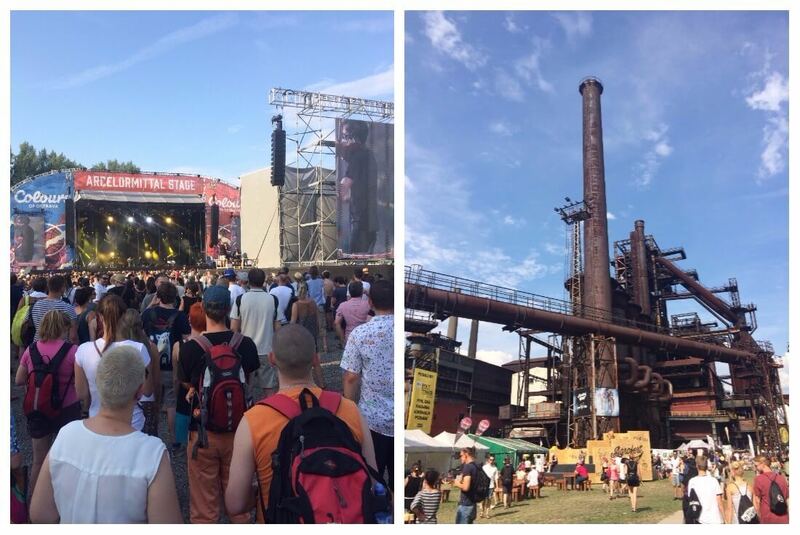 Snapshots from Colours of Ostrava, the legendary music festival happening in July each year. Ostrava is dominated by students, that is, apart from the summer months. 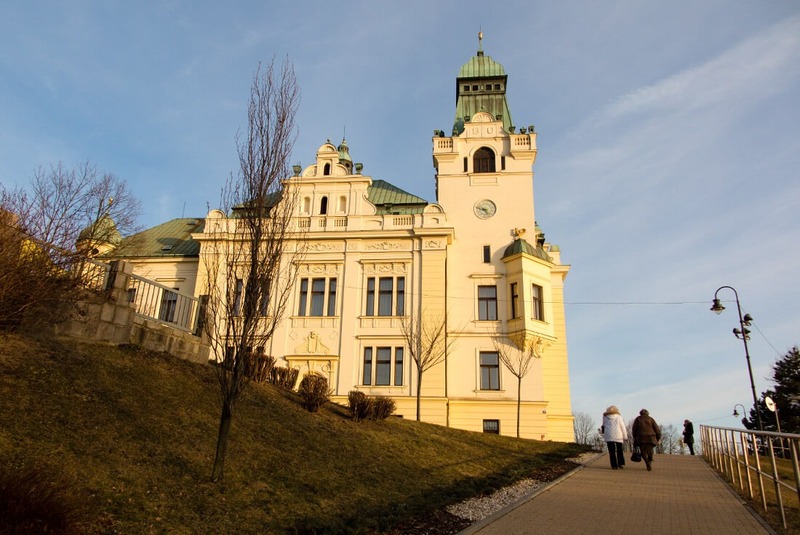 There are two large universities: The University of Ostrava and the Technical University of Ostrava. 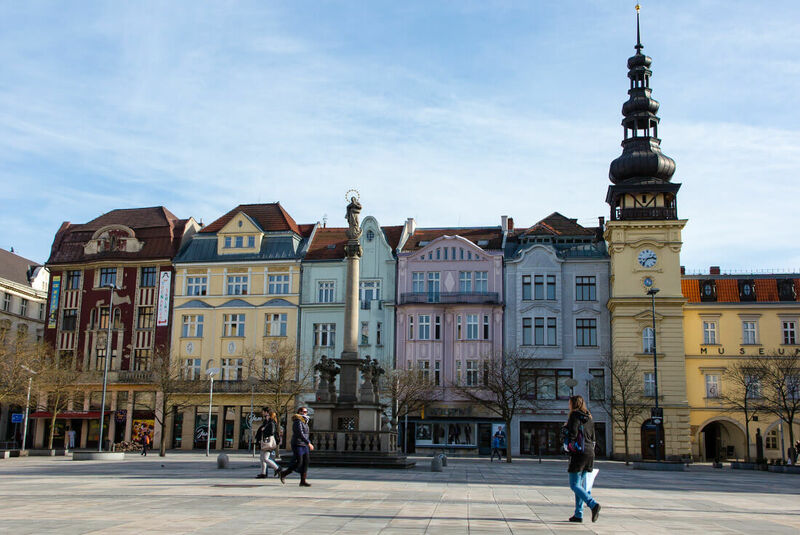 If you go out to Stodolní, you’ll be sure to meet quite a few students, even though the universities and dorms are a little further away. You might not be able to tell if you don’t speak Czech, but Ostraváks (that’s how the locals are called) pronounce words in a slightly different way. They use shorter syllables. A term coined for that is that they have “short beaks”. Actually, I’ve just confirmed with an Ostrava-born friend, and the term is a bit derogatory.. So don’t use it when you meet an Ostravák or two! A small bistro in the very city center, where they serve great food, incl. quality coffee. Artisan donuts have made their way to the Czech Republic and Ostrava was perhaps one of the first few places where a donut bakery opened. Check this one out and let me know what you think! 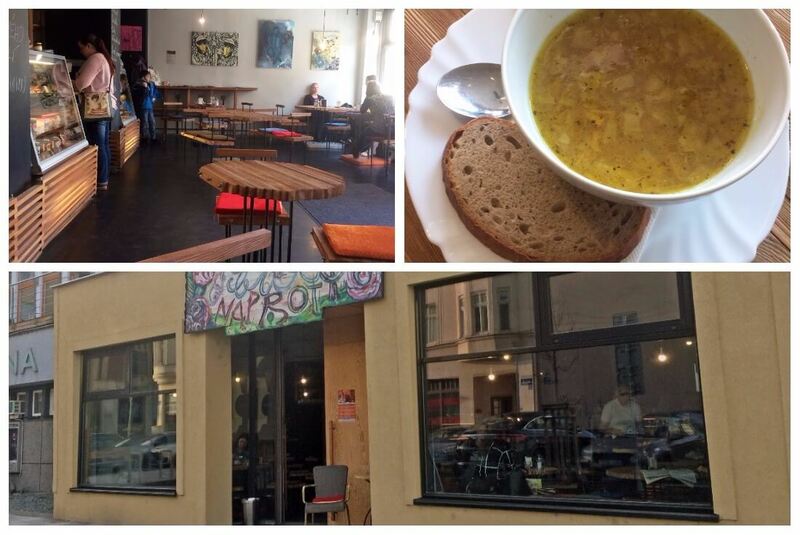 A cool local café that’s been open for years, employing people in need. I had a breakfast there (yum! ), a lunch (yum yum) and a few cakes and coffee. I had a great experience. Milk Bar Naproti: Don’t let the exterior put you off and walk in! The atmosphere is great, coffee is perfect and you’ll help a good thing. An old school Czech restaurant, which has been in operation for decades. Come here for the traditional feel and do some people watching. They serve Pilsen beer. Ostrava has their own brewery, brewing a beer called Ostravar. Other than that, Radegast is popular all over Moravia and Silesia and you can find it in many pubs in Ostrava too. Belonging to the Radisson chain of hotels, the Park Inn is a high-end hotel with all the amenities you could think of. It’s located in the city center. See current prices and availability on Booking.com, or compare prices at HotelsCombined. On the slightly cheaper side, this rather new design hotel not far from the city center as well as the train station is also popular for their restaurant. Fun fact – breakfasts are served only in the rooms! See how much a room would cost on Booking.com and compare it with HotelsCombined (ignore the pre-reconstruction photos). 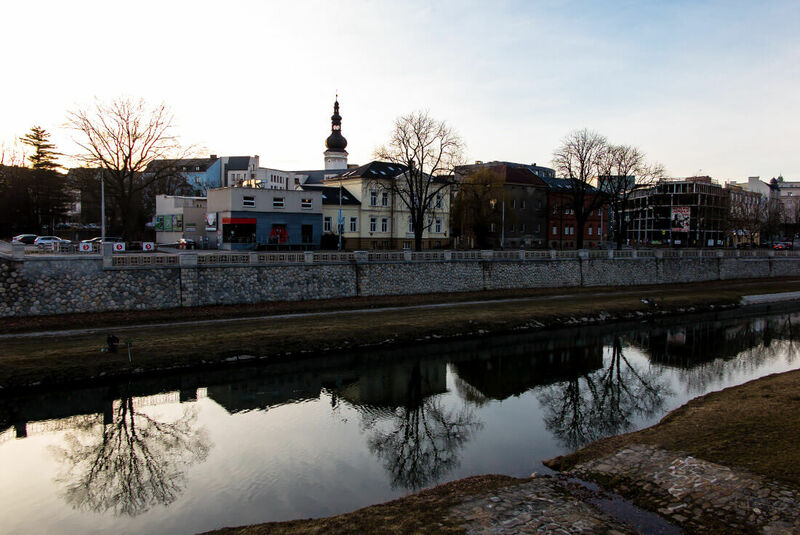 Strolling by the river Ostravice is a wonderfully calming experience. Check the prices and availability on Booking.com and on HotelsCombined. Another lowcost accommodation option, this one just a bit further away from the city center. It’s relatively close to Dolní Vítkovice, though! There are trams going to the city centre, it would be just about 7 stops. Check how much a room is on Boooking.com and on the comparison site HotelsCombined. Of course there are Airbnb apartments in Ostrava as well. They range from the cheapest rooms to really nice whole apartments. 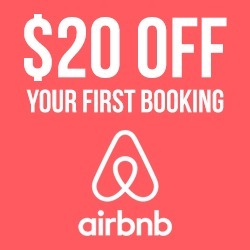 If you haven’t signed up on Airbnb yet, please do so via my link, that way both you and me will receive a small travel credit. Thank you! 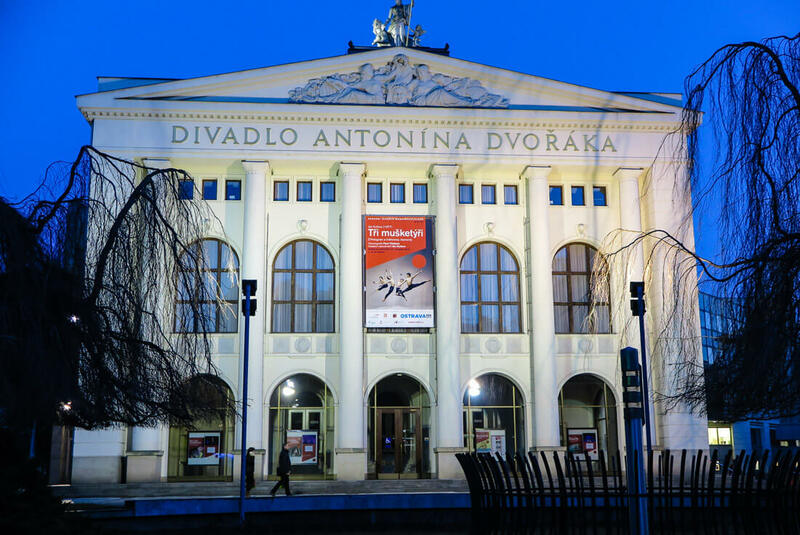 The main theatre in Ostrava: Antonin Dvorak’s Theatre. It looks incredible inside! Ostrava is well connected not only to the rest of the Czech Republic, but also to neighboring countries. 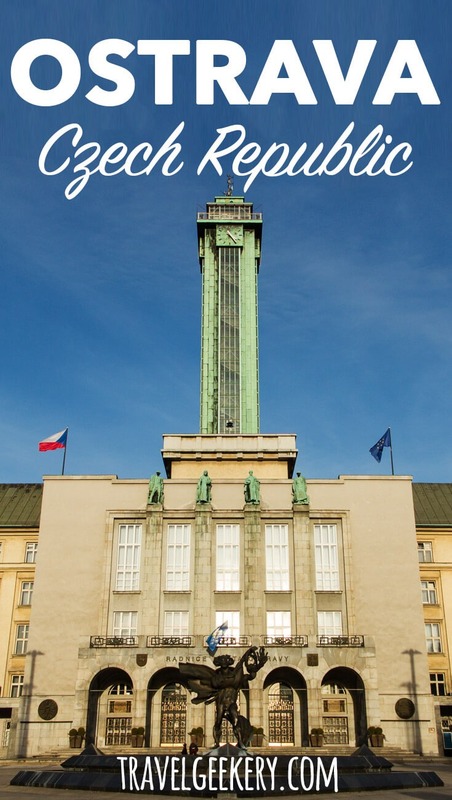 It makes perfect sense to visit Ostrava and Prague on the same trip. Ostrava is about 350 km from Prague. As you might already know, I live in Prague and can confirm it’s not difficult to travel to Ostrava from Prague. You just hop on a train! Btw. you can read all my Prague posts here. There are frequent trains going from Prague. 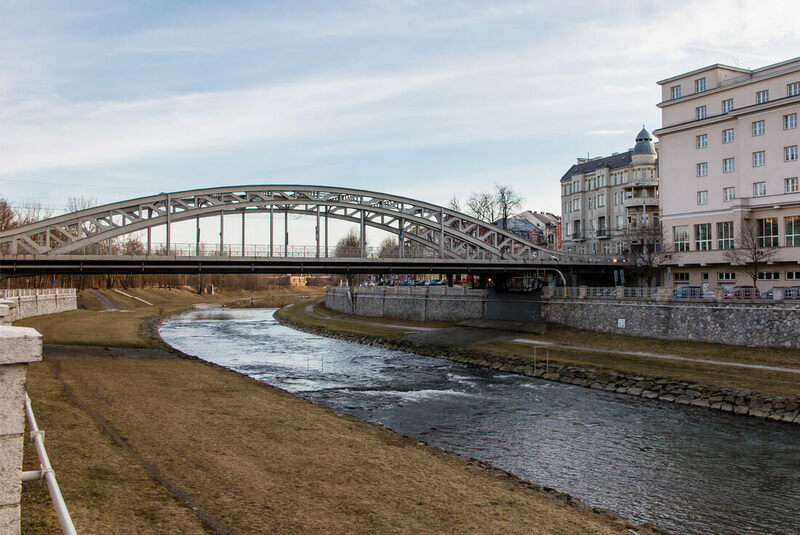 When travelling from Prague to Ostrava, make sure you get off at the right train station: the Ostrava “střed“ is the one closest to the city center. Ostrava hlavní nádraží (Ostrava main train station) is the second closest. There are 3 different train companies travelling between Prague and Ostrava. You can look up the right connection here. And then book your tickets either through Czech Railways, RegioJet or Leo Express. They are all of a good quality, just with the Czech Railways make sure you select either SC, EC, or IC train. If you find yourself in the nearby Krakow (Poland), you can comfortably take a direct train from Krakow to Ostrava too. You can search for connections here, but since it’s an international connection, you’ll have to get your ticket at the counter. While there are flights even from Prague, it’s usually just busy businessmen taking them :) Ostrava airport is well connected, with direct flights from London, Milan or Katowice in Poland. I wouldn’t recommend buses or car, only if you have no other choice. The Czech Republic’s main highway, the D1, has been under an extensive reconstruction and it’s a pain to drive on it. Ostrava definitely did show me its more beautiful side! A beautiful city centre easily walkable from one side to the other. And a calm river, with kilometres of walking and cycling paths. That’s how I see Ostrava and seriously can’t wait to return! If you make it to Ostrava, I’d be really interested in hearing what you thought about the Czech city. Do let me know! Ostrava will always have a special place in my heart! Hey Veronika…great post! I have to admit, I am one who had never heard of Ostrava before, even though I have been to CZ a couple of times. 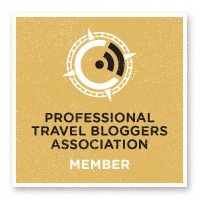 I have not road tripped around this part of the country and am really excited for TBEX. After this confrence, I think Ostrava will be on the minds of a lot more travelers. Look foward to seeing you there. 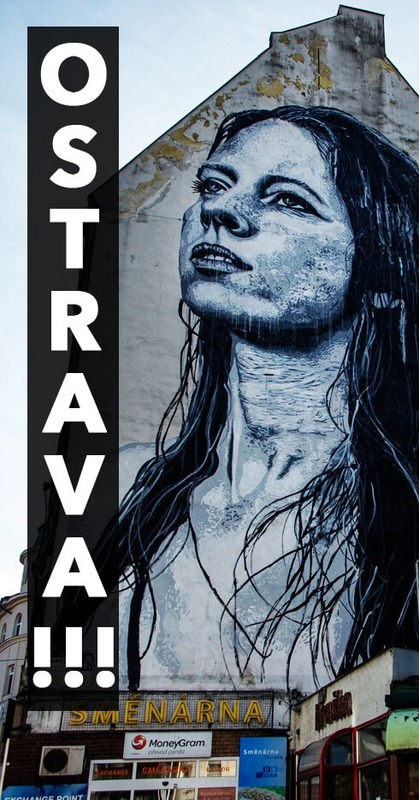 Could be wrong, but I thought the mural was of the famous model Eufrat who lives in the Ostrava area. It kinda looks like her. She is an amazing natural beauty. Can anyone verify this? Just wondering. Thanks. I enjoyed your post here. I am living in Ostrava for six months and so many people either haven’t heard of it or wonder why I’d want to be here. 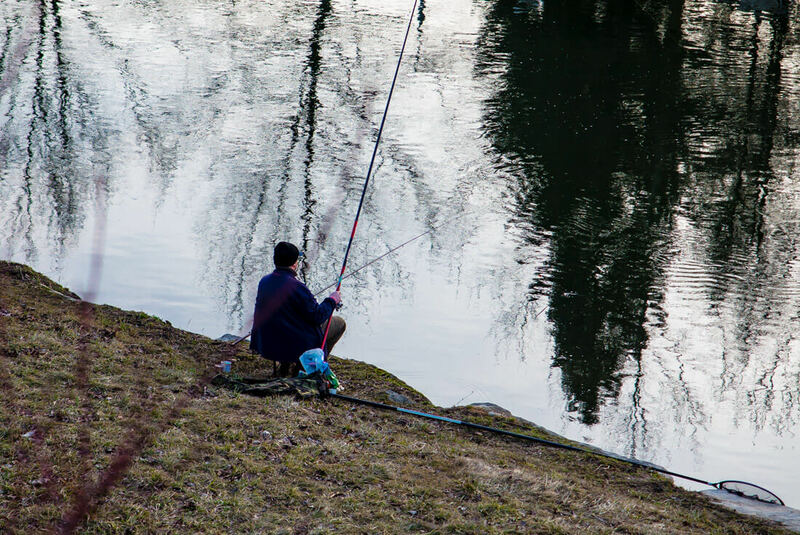 I like it better than Prague – calmer life, fewer drunk expats, but still beautiful and fun. I don’t see it as dirty at all (you noted you’d live here save that). The cycling opportunities starting from city center all the way to Poland or south to the mountains are gorgeous, the path smooth, and pubs along the way, right on the path. The architecture is beautiful. The food is fantastic and affordable and the people are incredibly nice. There is a lot to do here, but also really great nearby towns with gorgeous castles, chateaus, etc, a quick train ride away. Thanks for letting the world know about Ostrava. Thank you Ande! Cool to hear there are some expats living in Ostrava :) Yea I like it there a lot. Next time I’ll have to check out the cycling paths! Best Place to Swim on Bondi Beach? The Ocean Pool!